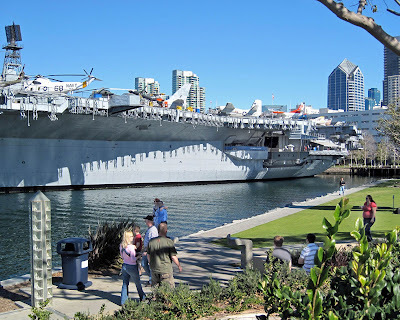 A tour of the USS Midway includes a large number of aircraft and exhibits covering 47 years of service. For a live webcam view of the ship click here. 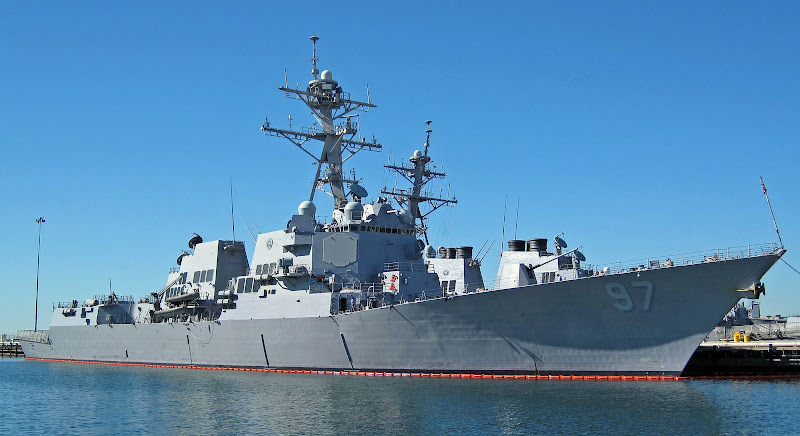 USS Howard is named in honor of Gunnery Sgt. Jimmie E. Howard, USMC, (1929–1993), recipient of the Medal of Honor for his leadership of a platoon against repeated attacks by a battalion-sized Viet Cong force. Every time USS Howard sets to sea from its homeport of San Diego, it passes within view of Gunnery Sgt. Howard’s grave at Fort Rosecrans National Cemetery and salutes it’s namesake. In November 2001, the USS Peleliu delivered the first U.S. Marines to Afghanistan as part of Operation Enduring Freedom. On August 10, 2008 she responded to a distress call from the merchant vessel the Gem of Kilakari, who was being attacked by armed pirates in the Gulf of Aden north of Somalia. The attack was successfully halted with no injuries. 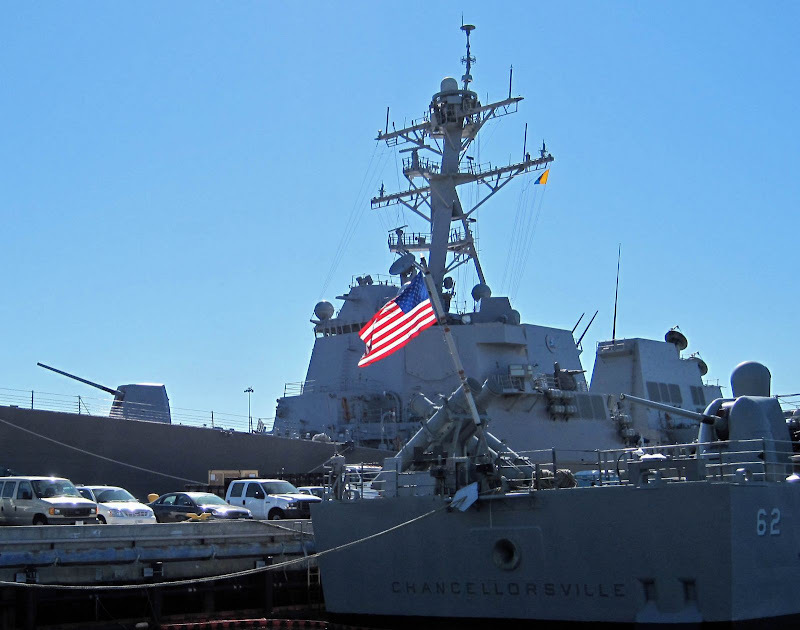 USS Chancellorsville carries guided missiles and rapid-fire cannons, with anti-air, anti-surface and anti-subsurface capabilities. She also carries two Seahawk LAMPS multi-purpose helicopters for anti-submarine warfare. In 1996 it was awarded the Spokane Trophy by CINCPACFLT as the most proficient in overall combat systems readiness and warfare operations. Officially named Naval Base San Diego it has been known as 32nd Street Naval Station not only by the local community but sailors and veterans around the world. The 32nd Street name was never officially recognized, although the name did appear countless times not only in local publications, but Navy publications as well. It is the workplace of about 40,000 personnel. 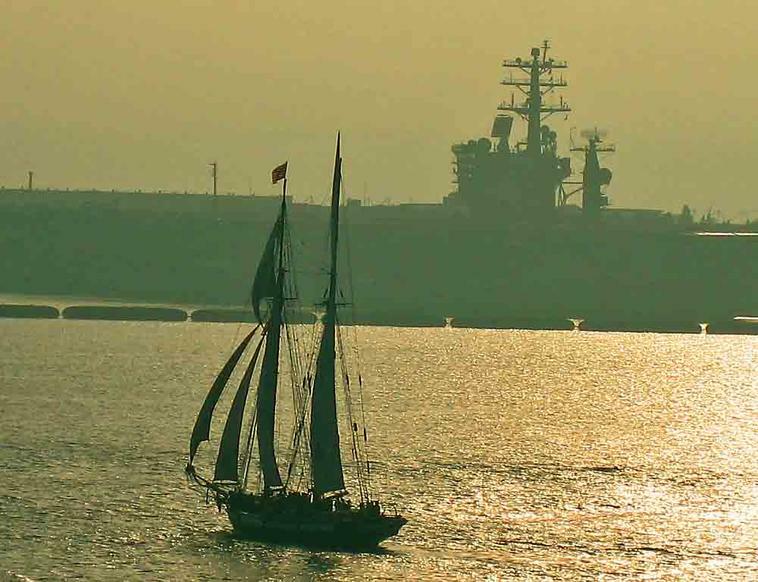 The 32nd Street Naval Station will celebrated its 87th Anniversary on February 22nd 2009. It was created by President Theodore Roosevelt, Jr. in 1922 when federal spending was $3.29 billon for the entire year. The station now provides 12 miles of berthing for over 50 ships. 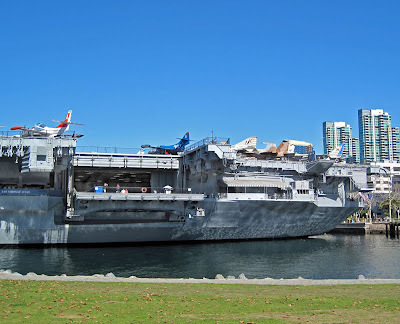 Visitors to San Diego can see three aircraft carriers in port at the same time. 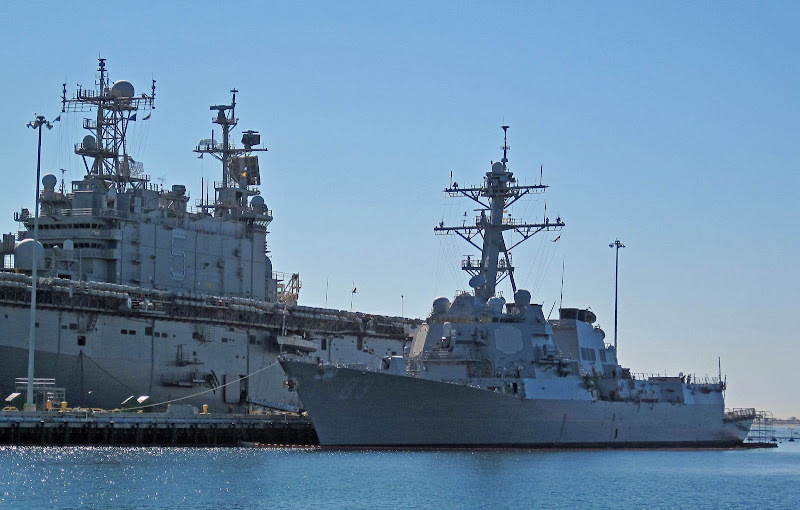 The ships are pierside at Naval Air Station North Island. One third of the U.S. 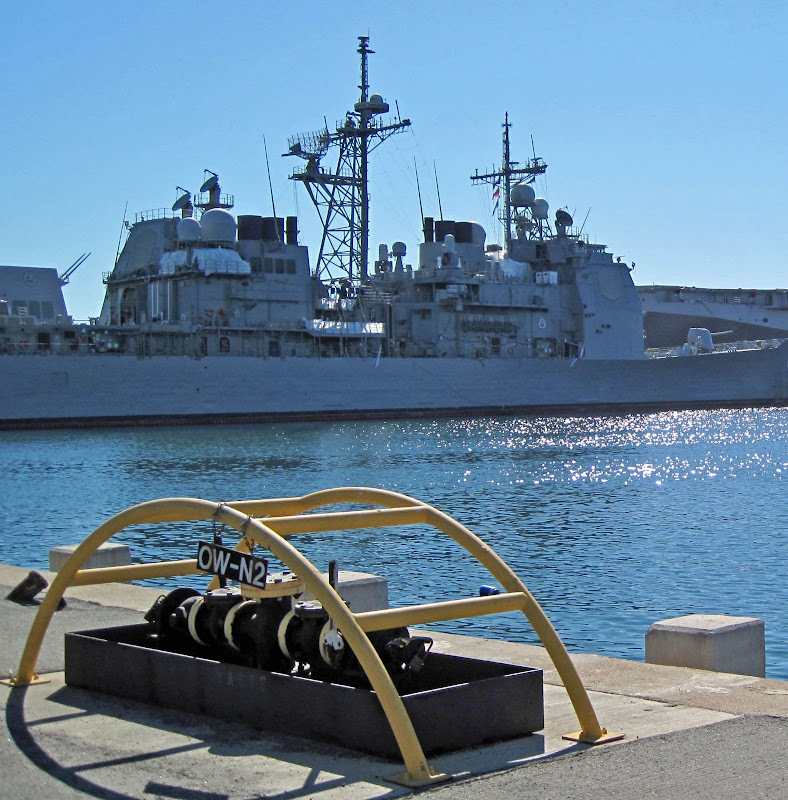 Naval Pacific Fleet is home ported in San Diego Bay, designated as a West Coast ‘megaport’, making it instrumental in the National Defense. A sailboat makes it way across the San Diego harbor. 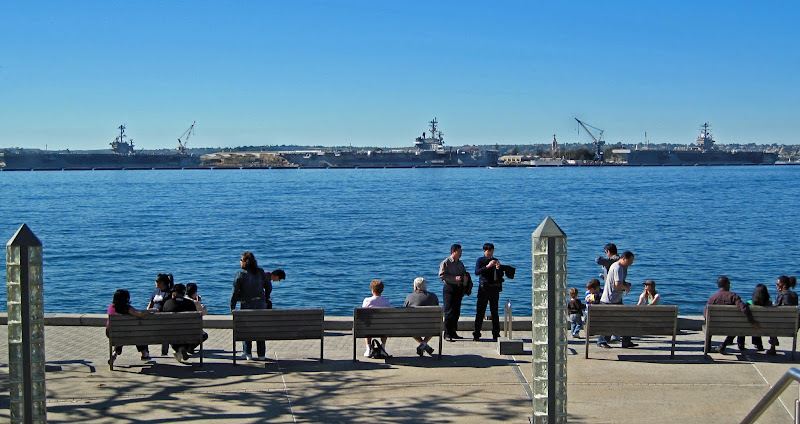 On the far side of the harbor sits the USS Ronald Reagan along side the pier at Naval Base Coronado.